I entered the public-sector workforce as support personnel in a Human Resources department over 10 years ago. It is common knowledge that on an average public-sector employees receive lower salaries than their private-sector counterparts. A fair compensation for this was the confidence in knowing that I had job stability, excellent benefits and a pension plan. However, over the last several years our struggling economy has produced job cuts, pay freezes and deteriorating job security in the public-sector workplace. Why am I not jumping ship, as well as many of my coworkers in searching for a higher paying job? The incentive to stay is no longer exclusively about excellent benefits and job security. Employees are choosing to stay at our organization because of the engaging and motivating relationships with their administrators. This article presents five management strategies that our organization’s administrators have successfully applied in retaining employees. Cross-training gives employees the opportunity for more responsibilities over projects, to participate in the decision making process and the opportunity to rotate in job positions. A well-planned cross-training program can help reduce costs, improve employee morale, reduce turnover and increase productivity. Employees feel a sense of value when cross-training is implemented in the work environment. This is a great way to boost morale; especially when a struggling economy results in pay freezes or reduced opportunities for career advancements. Additionally, cross-training also provides a tool that employees can access to create and develop individual career plans. Cross-training minimizes strife and disunity in the work environment by helping employees feel they are receiving equal treatment. The perception that an administrator has a “favorite” employee can and will undermine successful efforts to manage people. Traditionally, public administrators have typically focused their chain of command and information flow one way, from the top down, minimally involving employees’ ideas and talents. Allowing employees to be responsible and autonomous versus just participating in carrying out their tasks is an excellent motivational strategy. Administrators define what needs to be done and entrust their workers with the ability to come up with their own implementation plan. My department administrators have a knack for getting employees to feel that they are valued stewards of and contributors to the organization. They are good listeners and are genuinely interested in employee questions and concerns about their jobs. The staff in our organization greatly appreciates that administrators live our organization’s core values such as tolerance, diversity, fairness, environmental awareness, sound business practices and employee equality. They demonstrate high ethical standards; and as a result build trust and confidence in their employees. There is a strong sense of social responsibility that begins at the top of the organization. Our administrators regularly share the organization’s mission, goals, and vision through providing the opportunity to delegate responsibilities through building small teams in their departments. By giving an employee the opportunity to report on the work progress as “co-manager” for each project; an administrator shows that they care about what an employee thinks and truly see them as an asset to the organization. This strategy also diversifies employees by giving projects in which they can easily be rotated supporting employee training and career development along with making work more interesting. Showing courtesy and interest in all employees regardless of hierarchy strengthens interpersonal relationships. It’s a good feeling when you know that your administrator believes in you and your capabilities. Informal recognition generally costs nothing and is immensely motivating and frequently utilized at my workplace. Administrators can intersperse informal recognition while managing by walking around and offering a good word, a short written comment or email to the employee acknowledging their excellent work, a pat on the back, or just a handshake. Formal recognition supports the objectives and strategic goals of individual departments or units. 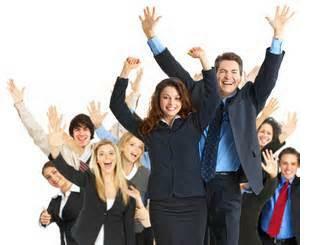 These can be public announcements celebrating employee achievements monthly, quarterly and annually. An example that our organization uses is an award titled,” Take a Bow.” This recognition is in the form of an honorable mention given quarterly recognizing employees who demonstrate commitment to professional growth, development and enrichment, and have completed a certificate program or degree. Lastly, the communication between administrators and employees is critical in difficult economic times. My administrators have implemented the strategy of being honest and upfront in helping employees become aware of the extent of challenges the organization is facing financially and operationally. Senior administrators acknowledge and address the difficulties that front-line employees are facing through carefully and clearly communicating organizational priorities and providing adequate resources to perform their jobs effectively. Administrators set time aside to individually meet with each employee in the department on a quarterly basis to get feedback on operational procedures. This is in addition to each employees’ annual evaluations. This is no simple feat, since the department on an average has 40 employees. What is very much appreciated is the communication on a personal level. In summary, it takes courage and personal engagement for public administrators to successfully tackle the challenges of motivating employees in a changing and stressful work environment. With pay incentives, benefits and pension plans no longer viewed by public sector employees as a sustainable incentive to entering or remaining in the workforce, the underlying challenge is for administrators to promote and support more non-tangible incentives such as fairness, stewardship and communication. Solving the problem of critical skill shortages, recruitment and the competitiveness of a lucrative private-sector in the retention of employees will depend on the solid relationship of top and first-level public administrators with their employees. This relationship must support the employee’s need to feel valued, encouraged and understood. My administrators have built the foundation of trust through fairness, genuine interest in their employees, and successfully communication to become public administrators that no one wants to leave. Pingback: Triple III Time: The “Art” of Retaining Good Employees | Inspiring Innovations, Inc. Many will probably feel this is obvious, but I know that most don’t even do these basics well. Great article.